For 3 years we have used 100% NZ pedigree ram on some ewes to provide our buyers with a choice of shearling ram, realising that the market is looking for easy lambing, grass based sheep to reduce feed and management costs. We are delighted that our homebred lambs are equally easily lambed and vigorous at birth. 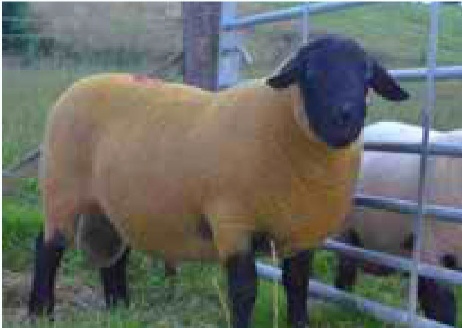 Robyn Hulme, Easyrams, breeder of NZ Suffolks, Texels and Suftexs, bought this 50% NZ / 50% Essie ram at Kelso Ram Sales 2015.